As the son of a notable interior designer, Blake Wyatt would accompany his mother to her client’s spaces and construction sites at a very young age. It was through these early experiences that Wyatt gained industry know-how and developed a passion for building and design. 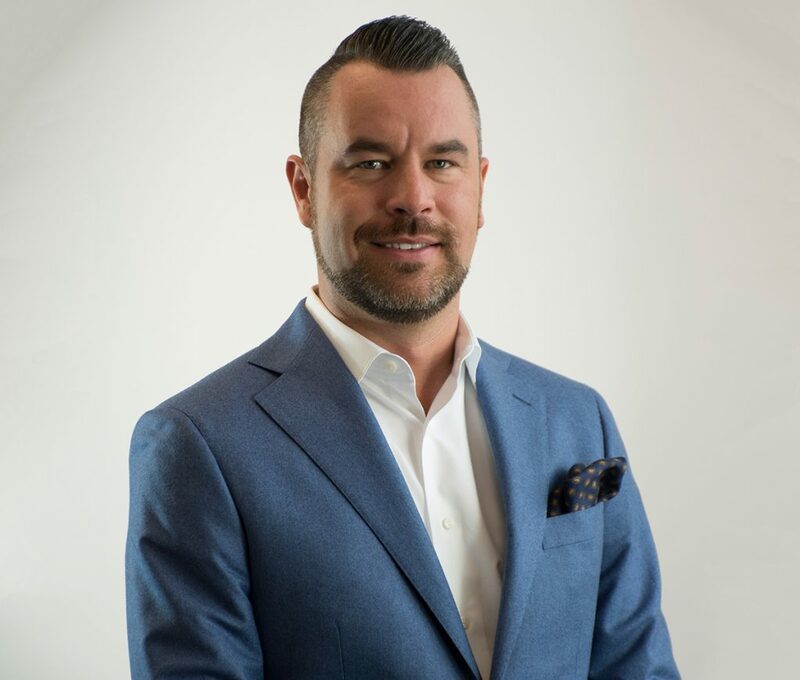 After studying real estate development and trading services, as well as urban land economics at the University of British Columbia, he embarked on a successful career with Keller Williams Realty in Vancouver. But he also knew that if he wanted a long career in real estate development, he needed to know all facets of the industry. So from 2009 to 2013, Wyatt tackled project financing and investment structuring for capital advisory firm, Lakeshore Capital Consulting. In 2013, the culmination of his skills and experiences led him to launch the Wyatt Development Group, a company that emphasizes ‘win-win’ relationships, while building in a manner that honoured his mother’s attention to detail. That attention to detail is evident in the company’s latest project, Water Walk at Bronte Harbour in Oakville. The boutique collection of Cape Cod-style contemporary townhomes combines stunning architecture with an exclusive waterfront location. We recently caught up with Wyatt to learn more about his company, Water Walk at Bronte Harbour, and his plans for the future. BuzzBuzzNews: Tell us a bit about your background and where you grew up. Blake Wyatt: I grew up in the Vancouver area. My father was in the financial services industry and my mother was an interior designer who did a lot of work with real estate developers. Both of my parents had a huge influence on my career path, but being around development and construction with my mother on job sites, and seeing the work and creativity that went into every project inspired my passion for real estate development. BBN: It sounds like your mother was a big inspiration for you at an early age. Could you tell us about your relationship with her and how she affected your career trajectory? BW: I remember spending a lot of time with her at a young age. After school and on the weekends, being around people in the design, architecture and construction industry. I also remember my parents buying and building new homes for the family. The process fascinated me and I started drawing homes and site plans from about the age of eight. I seemed to have a natural eye for architecture and my parents always thought I’d become an architect. I remember one story in particular: at about that age, my mother was involved with a high-profile architect on the development of a large private school in the Vancouver area. They were having a meeting to discuss the final permit drawings. I happened to be tagging along and in the middle of it, I felt compelled to quietly interrupt them. At first she was dismissive, given the importance of the meeting, but I persisted. I then quietly asked her why they didn’t include any bathrooms in the gymnasium and in shock, the architect and design team realized that I was the first to notice this critical mistake! An eight-year-old boy versus a team of professionals! It seemed I had found my calling. BBN: When did you enter real estate? Could you tell us about your first stint in the industry? BW: After a four year stint working with my father in the family financial services industry, I entered real estate in 2006 at Keller Williams Realty in Port Coquitlam, BC. Like most real estate agents, I began working with regular buyers and sellers, although my real passion was still development. I especially enjoyed the business and numbers side of real estate and my speciality became working with investors, pre-construction, and I was fortunate to get involved with some developers on the land acquisition and project marketing side. BBN: How did you transition from working in residential real estate within a local brokerage firm to starting your own development company? What motivated you to branch out? BW: I moved to the Toronto area in 2011 and I saw tremendous development opportunities in this region. I had since moved on from selling real estate and had spent a couple years working in the development finance side of the business — involved in private equity and assisting other developers in raising capital for their projects. This world taught me how to put deals together and how to finance them. This, combined with my previous experience in real estate sales and my passion for good design, led me to believe the timing was right in 2013 to blend my experience to create Wyatt Development Group. It was really a deliberate plan to fulfill a burning passion of mine to be a developer, and the stars seemed to be aligning perfectly. BBN: How would you describe Wyatt Development Group and what sets it apart from other developers? BW: As a smaller company with entrepreneurial values, our size allows us to be adaptable to create unique, architecturally distinct projects and deliver a boutique service experience to our home buyers, similar to that of a custom home builder. No project is ever the same, and I am personally involved in each detail. I wouldn’t build or sell a home that I wouldn’t personally reside in. This approach allows us to deliver a level of quality and innovation that is unmatched. BBN: Water Walk at Bronte Harbour is one of your latest developments. Where is it located and what attracted you to this location? BW: Water Walk is a landmark luxury townhouse development located in Oakville’s historic Bronte Harbour community, just three blocks from Lake Ontario. The location is absolutely stunning and really captures the essence of waterfront living. Being able to buy a home at this size and price point within an established waterfront community anywhere in the 905 is an exceptionally rare thing. With access to the lake right outside your doorstep, and to have all your major amenities — shops, restaurants, grocery stores and parks just blocks away — it will appeal to downsizers and young families who seek a peaceful, upscale lifestyle with the walkability of a more urban community. BBN: Early renderings show an elegant collection of white, hardie board-clad townhomes with rear garages and large contrasting windows and doors. Which architectural firm did you work with and what was the vision for the design? BW: We hired Gianpiero Pugliese and Audax Architecture due to their track record of award-winning designs — specifically in the townhouse space — and our shared philosophy to create something unique and specific to this special location. Our original design concepts were harbour-inspired architecture (both contemporary and traditional), found in places like the Hamptons, Cape Cod, and other great coastal communities. We spent close to 18 months during the planning and design process perfecting the details and arrived at a perfect blend of the varying styles. BBN: What are the interior spaces like and what features and finishes can prospective homebuyers expect to see? BW: Our interiors are large and spacious with square footage varying from 2,000 to above 3,000 square feet. Our plans vary from two-bedroom plus den to four-bedroom. The intent was to create the living space, features and footprint of a single-family home, with the lower maintenance lifestyle of a townhome. We offer two premium designer-selected colour schemes to create a simple, turnkey buying experience. An upgraded version of each scheme is available to appeal to the luxury buyer with the highest standard of quality. Additional upgrades like private elevators, finished garages, smart home technology, and wine rooms are available to suit a variety of lifestyles and budgets. Our larger floorplans include a beautiful and spacious outdoor patio space that’s ideal for entertaining, and master walk-in closets that rival the size of most bedrooms! BBN: How many units will be available and what are the starting prices? BW: This is an exclusive community with only 19 homes for sale. Our starting price point will be the low $1 million’s with our larger plans around $2 million. BBN: When do you expect to launch sales? Are there any grand opening events planned? BW: We will be launching sales early summer. It’s the perfect time to experience everything that Bronte Village has to offer! Our earliest registrants will have first access to any grand opening events we have planned. BBN: What does Wyatt Development Group have coming down the pipeline? Are there any other areas in Ontario or beyond that you’d like to focus on in the future? BW: We have another special townhouse project in Hamilton called Marquee on the Mountain in the pre-construction phase that we are really excited about! We are growing fast and will continue to be active in the GTA and the Horseshoe — so stay tuned!